A firefighter/paramedic in Miami-Dade County, Florida, James “Jimmy” Paugh is also a fire service instructor and holds an Associate’s Degree in Emergency Medical Services as well as a Bachelor’s Degree in Christian Ministry from Trinity International University. 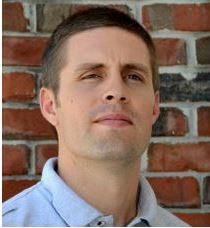 He is active in the department’s chaplaincy program and is enrolled at Southern Seminary, studying to earn a Master’s Degree in Theology. Jimmy’s connection with God began when he was a young boy. He remembers asking Jesus to take hold of and guide his life. A deacon at Parkridge Baptist Church in Coral Springs, Florida, he leads numerous Bible study groups. Jimmy’s passion for the Lord’s work has taken him on several mission trips to Haiti, where he shares the message of Jesus Christ. The challenge of aiding others in need led Jimmy to ProJect for the Love of Jesus and he has been a welcome addition to our staff. Jimmy’s wife Lisa and his young sons Jackson, Jase and Jude are the greatest treasures in his life.